LASER SHEENready-to-use has a unique non-oily formula which was developed to put the finest gloss possible on horses’ coats. 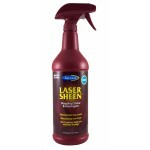 LASER SHEEN ready-to-use detangles manes and tails quickly - and keeps them tangle free ! Produces a lustrous, healthy coat that shines like a winner ! Silicone formula repels dust and dirt and prevents stains from grass, urine, manure and latigo. 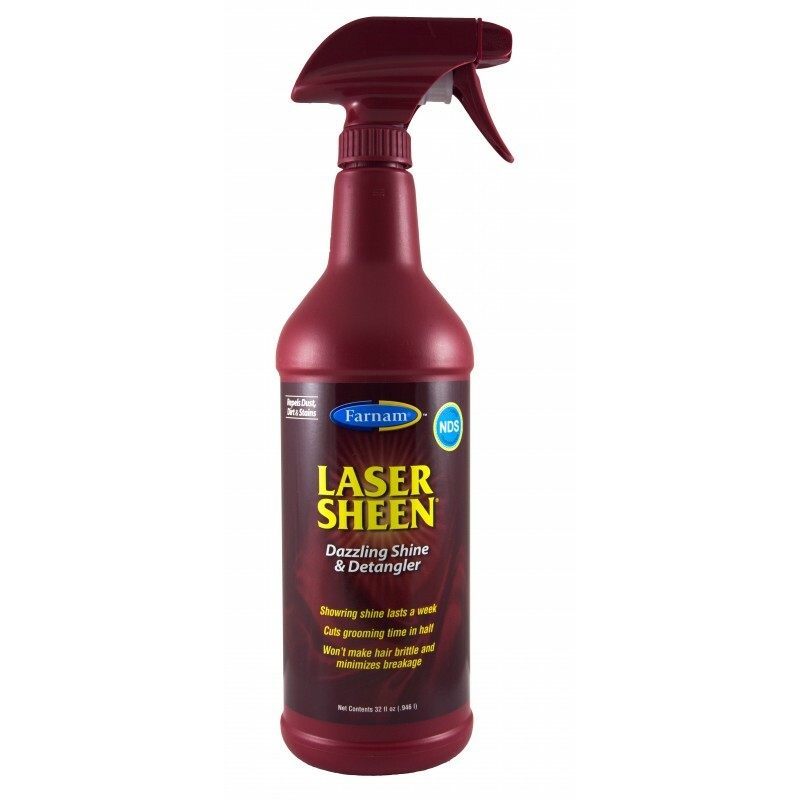 After one treatment of LASER SHEEN ready-to-use, your horse stays clean and shiny for up to a full week ! Cuts grooming time in half. Directions for use : Ready to use. Apply LASER SHEEN to the coat, mane and tail. Spray fine mist over entire horse until coat, mane and tail are damp. Then hand stroke in direction of hair. Allow to dry before additional brushing, toweling and hand rubbing.